A company’s greatest asset is its people; the same rings true for a region. In the Boise Metro, you’ll discover an educated, ambitious workforce that’s developing and diversifying six times faster than the national average with a higher net-migration rate than any other metro in the West. Doing business here comes with intangibles like accessible decision-makers, encouraged collaborations and a highly sought life/work integration. Plus, the cost of doing business here is nearly a third lower than our Western neighbors of California and Washington. The same intriguing opportunities that corporations like Simplot, Albertsons and Micron recognized in the region years ago are attracting companies across the country today. The pleasant realities of living life and doing business in the Boise Metro is what has brought them here for good. 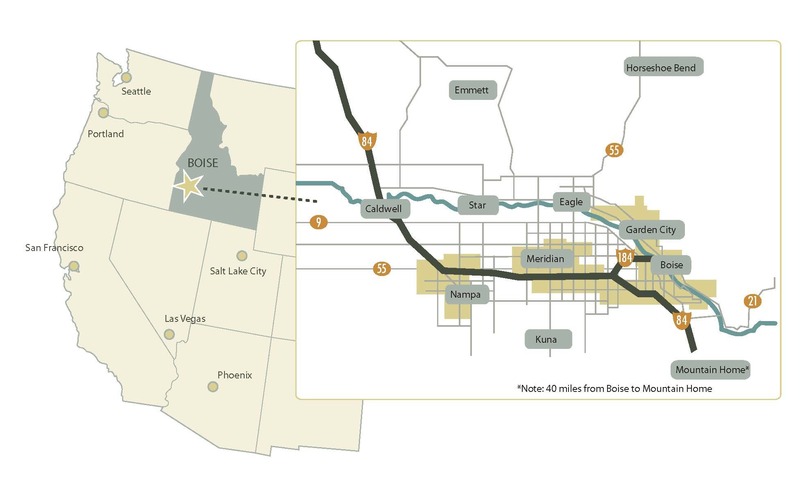 Beyond the proper way to pronounce Boise (it’s BOY-see not boy-ZEE), you likely have more questions about whether our metro is a fit for you and your business.